Since being formed in 2004, UAN has grown to become one of the most recognisable names in the UK’s automotive aftermarket. Our team philosophy is to work closely with our affiliates to help develop and grow their businesses to remain strong for the future. Following our acquisition by Alliance Automotive Group from founders Andrew and Rachael Dickinson in 2015, we have benefitted from the combined buying power and additional resources from our parent company. Find out more about who we are and how we could help your business. 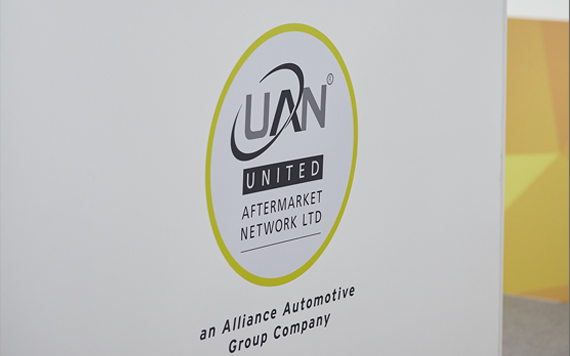 UAN is part of Alliance Automotive Group; one of the largest distributor of vehicle parts and the provider of technical knowledge to more than 25,000 car & commercial vehicle repairers, garages, fast fit outlets and body shops across Europe. When Alliance Automotive Group was acquired by the Genuine Parts Company (GPC) in 2017, UAN and AAG’s other businesses became a part of the biggest automotive aftermarket company in the world.